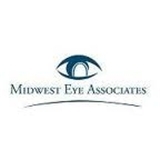 Midwest Eye Associates (St. Charles) - Book Appointment Online! Midwest Eye Associates has 4 convenient locations throughout the St. Louis and St. Charles area. Our primary focus is customer service. We are able to meet every patients’ visual needs with a wide range of frame designs including Kate Spade, Juicy, Ray Ban, Nike and Oakley just to name a few. We also have all the newest contact lens technology. With specialty contact lenses to correct astigmatism and keratoconus, daily disposable lenses to help with dryness, allergies and better comfort and the newest bifocal lenses, Midwest Eye Associates has every option a contact lens wearer could need. Midwest Eye Associates also specializes in treating eye diseases. With the most up to date medical equipment, our doctors successfully manage patients with glaucoma, cataracts, macular degeneration, diabetic eye disease, dry eye and allergies. Everyone was so nice and accommodating. They made me feel very comfortable and I recommend this office to anyone in the area. Dr. Byergo is very professional and easy to talk to. I would highly recommend him.